RRSPORT.CO.UK • View topic - Tired looking badges re freshed for £10.50! Home > Tips & Tricks > Tired looking badges re freshed for £10.50! Tired looking badges re freshed for £10.50! Hi if your bonnet and boot badges are looking tired you could coat them on the car with plasti dip spray paint like I've just done it took around 2hrs there's videos on youtube showing you how, I just cleaned around the badges with panel wipe masked off with an inch roughly around the letters and followed the advice on the tin! Removed the plasti dip with a wooden cocktail stick (easily) and wiped any further over spray with a microfiber cloth. I think they look alot better many colours available. Looks good job does that! We were looking to change ours from silver to black lettering by removing the old and sticking new ones on. If we used the plastic coat would it go over silver letters and cover with out peeling? From what I read and have seen online once it's cured (4hrs) it's robust enough to wash and jetwash only time will tell! 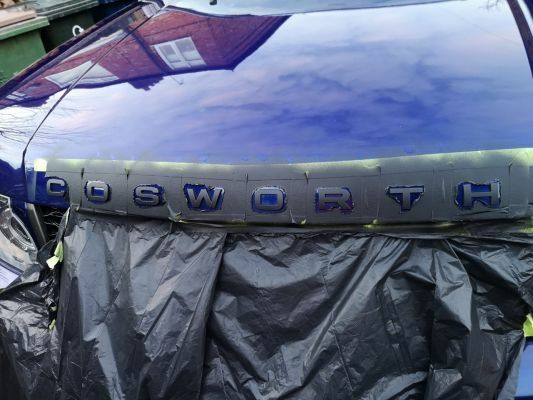 the Cosworth lettering font was expensive to replace and hard to get hold of so at £10.50 for the proper plasti dip and a few hours work mainly waiting the 20mins between coats (3 coats applied) I'm happy. it will eat through the plasti dip if left.. 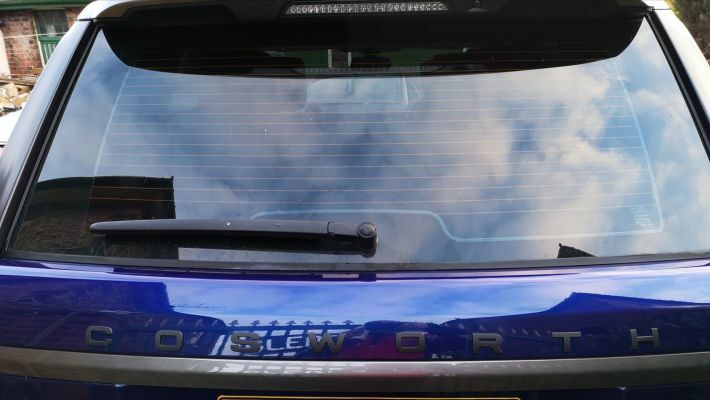 Interesting I thought I'd posted in Tips & Tricks category regarding tidying up bonnet/ boot lettering. Not do you like my car... If we all liked the same thing it would be a boring world. 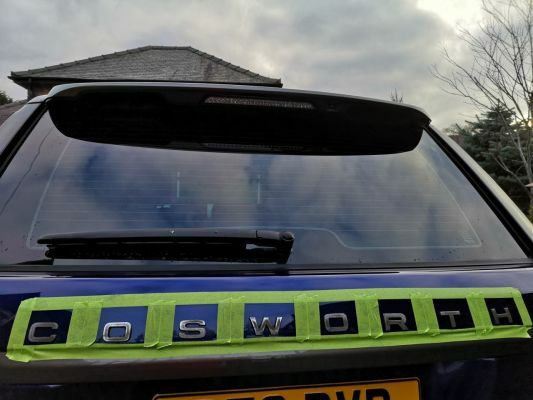 good job, looks nice, so when you removed from the bonnet with a cocktail stick did you have to score around the edge of each letter so not to pull the plasti stuff off the sides of the letter?